It is the first stage to get to the CrossFit Games and compete for the title "The Fittest on Earth". CrossFit HQ will publish five consecutive workouts which circa 500,000 people world wide will do. If you think you are the next Champ you can submit your score online to CrossFit HQ. If you are more modest about your ambition it is just fun to do it! The first stage will last for 5 weeks (to be exact 5 weekends) and after those 5 weeks a of selection of athletes will be invited to the Regionals. If you get through the Regionals you are expected at the CrossFit Games in the States. It is THE most popular all inclusive online fitness competition in the world. 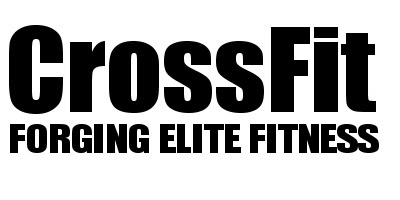 You will find social media buzzing with it and every CrossFitter will be talking about it. WHEN CAN I DO THE WORKOUTS? The workouts will be published on a Thursday night by CrossFit HQ and we run the Open WODs on Friday & Saturday. I CANNOT DO THE MOVEMENTS! Don't worry - we will scale the movements to your ability. Just show up as per usual and we will coach you through it! 1. Register your interest to do the workouts. It is going to be on Friday and Saturday. We need to know how many people will come so register your interest via the link below. Don't worry we understand that life sometimes can get in the way of your workout, try to complete as many of the five workouts as possible.